Is an upper respiratory infection contagious? What are the causes of upper respiratory infection? 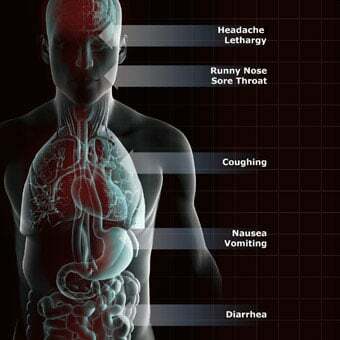 What are the symptoms of upper respiratory infection? What are the risk factors for upper respiratory infection? When should you seek medical care for upper respiratory infection? How is an upper respiratory infection diagnosed? What is the treatment for upper respiratory infection? What are home remedies for upper respiratory infection? What are some data on alternative therapies in treating upper respiratory infections? What are the complications of an upper respiratory infection? Can an upper respiratory infection be prevented? What is the outlook for a patient suffering from an upper respiratory infection? Upper respiratory infections (URIs) are one of the most common reasons for doctor visits. Upper respiratory infections are the most common illness resulting in missed work or school. Upper respiratory tract infections can happen at any time, but are most common in the fall and winter. The vast majority of upper respiratory infections are caused by viruses and are self-limited. Antibiotics are rarely needed to treat upper respiratory infections and generally should be avoided, unless the doctor suspects a bacterial infection. Simple techniques, such as, proper hand washing and covering face while coughing or sneezing, may reduce the spread of upper respiratory infections. General outlook for upper respiratory infections is favorable, although, sometimes complication can occur. An upper respiratory tract infection, or upper respiratory infection, is an infectious process of any of the components of the upper airway. Infection of the specific areas of the upper respiratory tract can be named specifically. Examples of these may include rhinitis (inflammation of the nasal cavity), sinus infection (sinusitis or rhinosinusitis) - inflammation of the sinuses located around the nose, common cold (nasopharyngitis) - inflammation of the nares, pharynx, hypopharynx, uvula, and tonsils, pharyngitis (inflammation of the pharynx, uvula, and tonsils), epiglottitis (inflammation of the upper portion of the larynx or the epiglottis), laryngitis (inflammation of the larynx), laryngotracheitis (inflammation of the larynx and the trachea), and tracheitis (inflammation of the trachea). 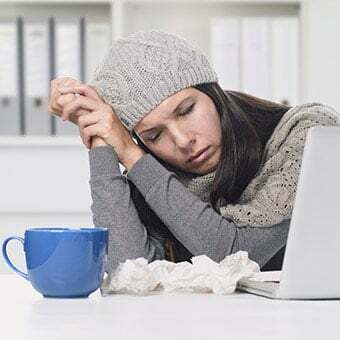 Upper respiratory infections are one of the most frequent causes for a doctor visit with varying symptoms ranging from runny nose, sore throat, cough, to breathing difficulty, and lethargy. In the United States, upper respiratory infections are the most common illness leading to missing school or work. Although upper respiratory infections can happen at any time, they are most common in the fall and winter months, from September until March. This may be explained because these are the usual school months when children and adolescents spend a lot of time in groups and inside closed doors. 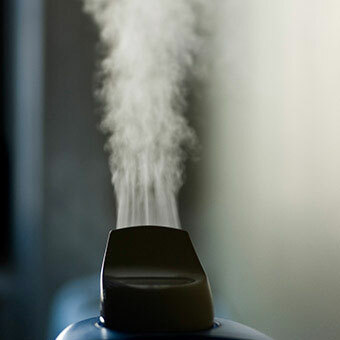 Furthermore, many viruses of upper respiratory infection thrive in the low humidity of the winter. A majority of upper respiratory infections are due to self-limited viral infections. Occasionally, bacterial infections may cause upper respiratory infections. Most often, upper respiratory infection is contagious and can spread from person to person by inhaling respiratory droplets from coughing or sneezing. The transmission can also occur by touching the nose or mouth by hand or other object exposed to the virus. An upper respiratory tract infection is generally caused by the direct invasion of the inner lining (mucosa or mucus membrane) of the upper airway by the culprit virus or bacteria. In order for the pathogens (viruses and bacteria) to invade the mucus membrane of the upper airways, they have to fight through several physical and immunologic barriers. The hair in the lining of the nose acts as physical barrier and can potentially trap the invading organisms. Additionally, the wet mucus inside the nasal cavity can engulf the viruses and bacteria that enter the upper airways. There are also small hair-like structures (cilia) that line the trachea which constantly move any foreign invaders up towards the pharynx to be eventually swallowed into the digestive tract and into the stomach. In addition to these intense physical barriers in the upper respiratory tract, the immune system also does its part to fight the invasion of the pathogens or microbes entering the upper airway. Adenoids and tonsils located in the upper respiratory tract are a part of the immune system that help fight infections. Through the actions of the specialized cells, antibodies, and chemicals within these lymph nodes, invading microbes are engulfed within them and are eventually destroyed. Despite these defense processes, invading viruses and bacteria adapt various mechanisms to resist destruction. They can sometimes produce toxins to impair the body's defense system or change their shape or outer structural proteins to disguise from being recognized by the immune systems (change of antigenicity). Some bacteria may produce adhesion factors that allow them to stick to the mucus membrane and hinder their destruction. It is also important to note that different pathogens have varying ability to overcome the body's defense system and cause infections. Epstein-Barr virus (EBV), 4-6 weeks. low-grade fever (more common in children). The symptoms of upper respiratory infection usually last between 3-14 days; if symptoms last longer than 14 days, an alternative diagnosis can be considered such as, sinusitis, allergy, pneumonia, or bronchitis. 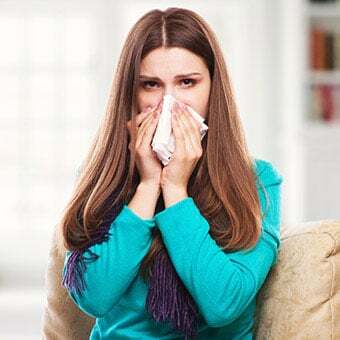 Bacterial pharyngitis (strep throat due to group A Streptococcus) may be considered if symptoms continue to worsen after the first week in the absence of runny nose, cough, or conjunctivitis. Prompt testing and initiation of appropriate antibiotics is important due to the risk of developing rheumatic fever, especially in children. Epiglottitis is an upper respiratory infection in children that may have a more sudden onset of sore throat, feeling of a lump in the throat, muffled voice, dry cough, very painful swallowing, and drooling. 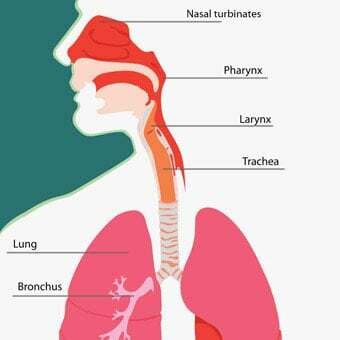 Upper respiratory infections in the lower part of the upper respiratory tract, such as, laryngotracheitis, are more commonly featured with dry cough and hoarseness or loss of voice. Barking or whooping cough, gagging, rib pain (from severe cough) are other symptoms and signs. anatomical abnormalities as in facial trauma, upper airway trauma, nasal polyps. 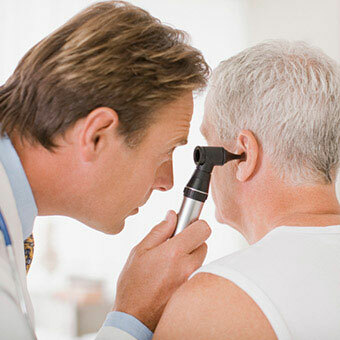 Most people tend to diagnose and treat their symptoms at home without seeking professional medical care. A great majority of cases of upper respiratory infection are caused by viruses and are self-limited, meaning they resolve on their own spontaneously. upper respiratory infection is recurring. Sometimes hospitalization may be necessary if upper respiratory infection is severe and causes significant dehydration, respiratory difficulty with poor oxygenation (hypoxia), significant confusion, lethargy, and worsening of shortness of breath in chronic lung and heart disease (chronic obstructive pulmonary disease or COPD, congestive heart failure). Hospitalizations are much more common in children less than 2 years of age, elderly people (especially those with dementia), and immunocompromised individuals (weak immune system). Blood work and imaging tests are rarely necessary in the valuation of upper respiratory infection. X-rays of the neck may be done if suspected case of epiglottitis. Although the finding of swollen epiglottis may not be diagnostic, its absence can rule out the condition. CT scans can sometimes be useful if symptoms suggestive of sinusitis last longer than 4 weeks or are associated with visual changes, copious nasal discharge, or protrusion of the eye. CT scan can determine the extent of sinus inflammation, formation of abscess, or the spread of infection into adjacent structures (cavity of the eye or the brain). As described above, most cases of upper respiratory infection are caused by viruses and therefore, require no specific treatment and are self-limited. People with upper respiratory infections typically diagnose themselves and treat their symptoms at home without requiring doctor's visit or prescription medications. Increased intake of oral fluids is also generally advised to keep up with the fluid loss from runny nose, fevers, and poor appetite associated with upper respiratory infections. Acetaminophen (Tylenol) can be used to reduce fever and body aches. Nonsteroidal antiinflammatory drugs such as ibuprofen (Motrin, Advil) can be used for body aches and fever. Antihistamines such as diphenhydramine (Benadryl) are helpful in decreasing nasal secretions and congestions. 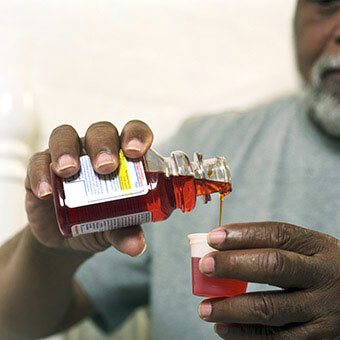 Cough medications (antitussives) can be used to reduce cough. Many cough medications are commercially available such as dextromethorphan, guaifenesin (Robitussin), and codeine all have shown benefits in reducing cough in upper respiratory infections. Steroids such as dexamethasone (Decadron) and prednisone orally (and nasally) are sometimes used reduce inflammation of the airway passage and decrease swelling and congestion. Decongestants such as pseudoephedrine (Sudafed) Actifed oral, phenylephrine (Neo-synephrine nasal) can be used to reduce nasal congestion (generally not recommended in children less than 2 years of age and not recommended for individuals with high blood pressure). Oxymetazoline (Afrin) nasal solution is a decongestant, but should only be used for short-term. Because antibiotic use is associated with many side effects and can promote bacterial resistance and secondary infections, they need to be used very cautiously and only under the direction of a treating physician. There are several self-care methods that can simply be applied at home for relief of symptoms of upper respiratory infection. Applying a warm pack (a warm well towel or wash cloth) to the face may also be used to treat symptoms of nasal congestion. This can be repeated every few hours as needed to relieve to the symptoms. Cough can be suppressed by limiting exposure to irritants, such as, cold whether, cigarette smoke, dust, and pollution. Sleeping in a semi-upright position may be helpful at time to reduce cough. A study has suggested that honey may be superior to dextromethorphan in reducing cough in children with upper respiratory infection. Many alternative and cultural remedies are used in treating upper respiratory infections. Herbal teas including elm bark and licorice root are thought to relieve sore throat and some studies have suggested benefits compared to placebo. Long-term use of these remedies has not been evaluated; however, prolonged use of licorice may cause elevation of blood pressure. As noted above, honey has been shown to be beneficial in suppressing cough in children with upper respiratory infection and its use in hot water or tea with lemon juice is not uncommon. Ingestion of honey in infants, however, is not recommended as they are not able to properly digest the spores in honey which can result in infections. 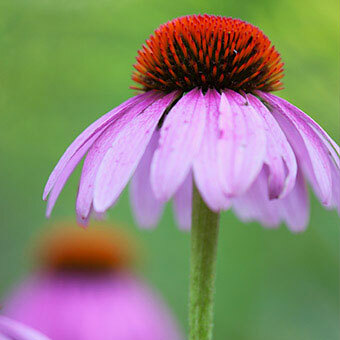 Echinacea is another herbal remedy commonly used in treating upper respiratory infection. Research data failed to prove any significant benefit in altering the duration and severity of upper respiratory infection symptoms when Echinacea was used in children between 2-11 years of age as compared to placebo. Oral zinc supplementation has been used in recent years to shorten the duration and reduce the severity of symptoms of upper respiratory infection and common cold. This therapy has been studied in children with upper respiratory infection and the results are mixed. The FDA has not approved the use of oral zinc to treat the common cold or upper respiratory infections. There are reports of nausea and unpleasant taste caused by oral zinc. Topical nasal zinc products (Zicam nasal gel) has been also used to attenuate the symptoms of upper respiratory infection. Some studies suggest loss of the sense of smell (anosmia) associated with the use of this over the counter product. Therefore, the FDA recommended discontinuation of the use of intranasal zinc products in 2009. The use of oral vitamin C is thought to shorten the duration of upper respiratory infection symptoms, but research data are inconclusive regarding the benefits of vitamin C.
In general, the outcome of upper respiratory infection is good. The majority of these cases are due to viral infections which are self-limited. Bacterial infections, people with weak immune systems, and those with complications of upper respiratory infections (listed above) may have less favorable prognosis. 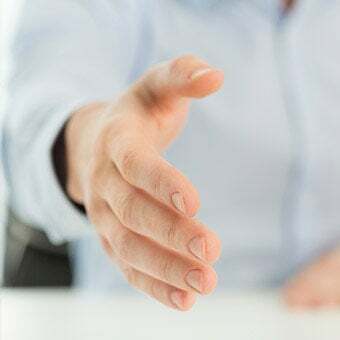 REFERENCES: Meneghetti, A, MD. "Upper Respiratory Tract Infection." Medscape. Updated: Feb 17, 2017. United States. Centers for Disease Control and Prevention. "Nonspecific Upper Respiratory Tract Infection." <https://www.cdc.gov/getsmart/community/materials-references/print-materials/hcp/adult-tract-infection.pdf>.